San Francisco City Attorney Dennis Herrera has filed a cease-and-desist order targeting the privately-operated dockless scooters that have seemingly taken over downtown San Francisco streets in recent weeks. In a letter sent to the three dockless scooter companies currently operating in the city, Herrera decried the upstarts for “continu(ing) to operate an unpermitted motorized scooter rental program in the City and County of San Francisco, creating a public nuisance on the city’s streets and sidewalks, and endangering public health and safety,” SFGate reports. The three companies—Bird, Spin, and LimeBike—have been operating throughout pockets of the city for at least the last three weeks, offering motorized scooter services for roughly a dollar per ride plus a per-minute fee. 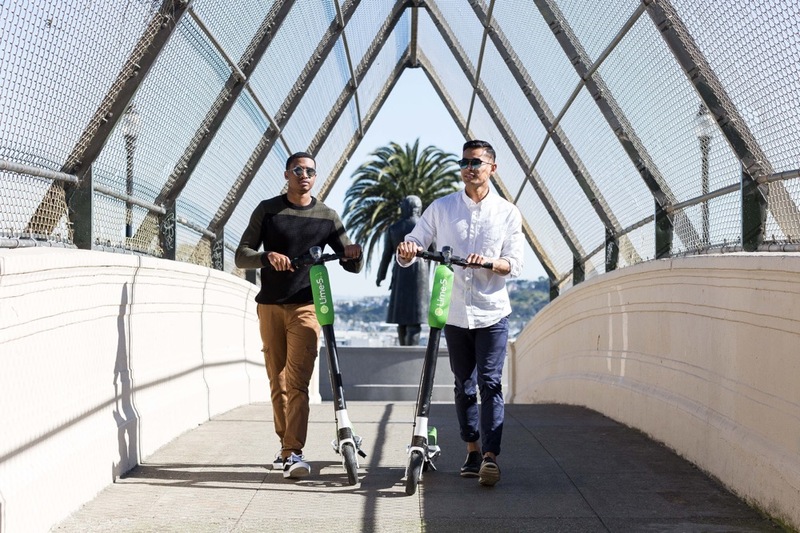 The Bird service was founded by Travis VanderZanden, a former Uber employee, while LimeBike started off as a dockless bikeshare company that has recently branched out to provide e-scooter services via its “Lime-S” scooters in San Diego, Washington, D.C., Los Angeles, Austin, and San Francisco, The Austin Statesman reports. Spin was founded in 2016 in San Francisco by Y Combinator, Uber, and Lyft alumni and offers both dockless bikeshare and dockless e-scooter services. The move comes as the San Francisco Board of Supervisors moves to consider initial regulations for the nascent industry, which has drawn complains from San Francisco residents for cluttering driveways and sidewalks with unused or broken scooters. Residents have also complained of e-scooters being used on sidewalks to the detriment of pedestrians, including disabled residents. The use of motorized vehicles on sidewalks is currently illegal in California. Via an open letter published on its website from Bird CEO VanderZanden, the company maintains a “save our sidewalks” policy that aims to return one dollar for each scooter in operation to the city while also pledging to maintain “responsible growth” and promote responsible scooter etiquette among its users. Dockless bikeshare and e-scooter industries have sprung up across the country in recent years as traditional bikeshare programs have flourished unevenly across American cities, often leaving behind communities of color and ignoring areas outside the city core. The new services often bill themselves are more convenient alternatives because the “smart” vehicles can be left and picked up seemingly anywhere due to their app-based location services and do not require expensive docking stations. But because municipal regulations largely do not exist for e-scooters and dockless bicycle systems have not typically undergone stringent environmental reviews, these services have created controversy wherever they have sprung up. The San Francisco Boards of Supervisors is set to take up e-scooter regulations later today.